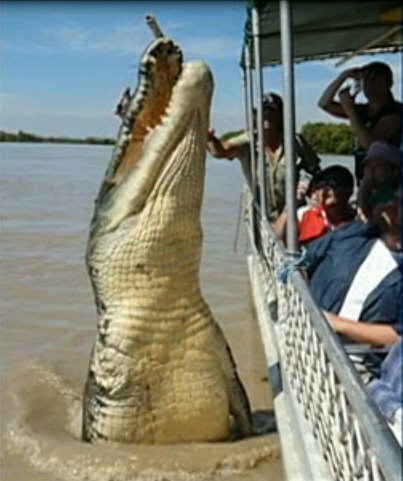 meet "brutus" the 18 feet [5 meters], 2 ton [1814 kg], northern australian crocodile. although handicapped, brutus recently thrilled tourists when he posed for photographs next to their tourist boat. brutus is missing his right arm -- apparently, taken off by a shark, cbs news reported.